How do your current scheduling practices compare to those of schools around the country and to best practices? DMGroup believes there is a direct correlation between elementary scheduling best practices and improving academic outcomes for all students. 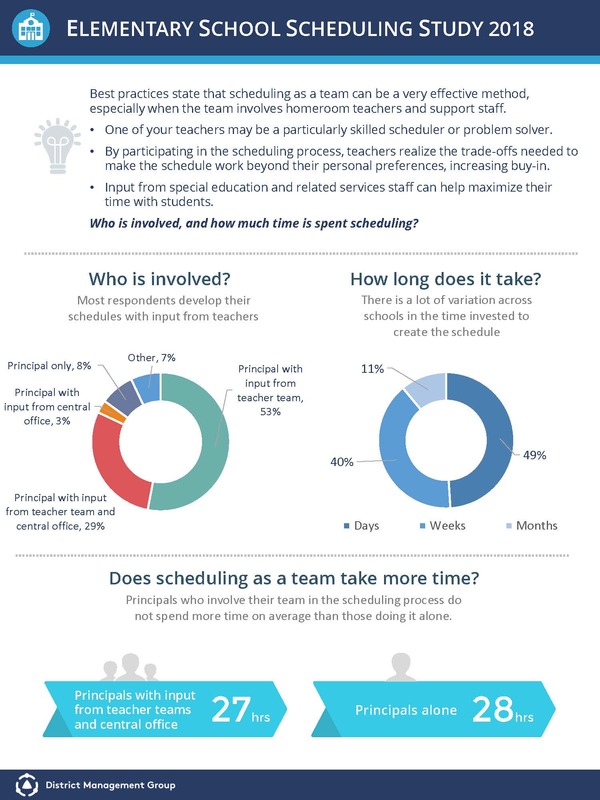 We conducted a survey of over 100 elementary school principals across the United States to gain a deeper understanding of current scheduling practices and how they compare to best practices.